Learn about plants by meeting and identifying them in their natural surroundings. Walks can be general or focused on Native plants, Medicinal plants, edible plants,or plants for first aid. In this workshop we will focus on the ethics and practices of wild crafting. Some theory will be presented in the field and then I will share plant harvesting techniques. Participants will also get hands on experience. Class also includes some basics of plant processing. There are many plants that are useful in a first aid application. This class is especially of interest for people who spend time in the out of doors, but will be applicable to all. We will go through what an herbal first aid kit might contain and learn about what plants people can use when they are out and about. Traditional first aid training not necessary, but helpful. This is a series of workshops that give participants hands on experience making herbal medicines that they can bring home. We will make oils,intermediary extractions, salves, tinctures, percolations, honey, and powders. Get up close and in depth through a series of classes about specific plants. Each 3 hour long class focuses on one plant. We meet the plant, learn how to harvest it, how to process it, what kind of medicines we can make with it and everything it is good for. Also included is some basic anatomy and physiology, ethics and theory of herbal medicine. People often wonder how we know what plants are good for what. One science says that the plants themselves tell us. Learn some techniques to sit quietly with plants and learn their medicine directly from them. We use visualization, meditation, writing and art to deepen our observations and plant connections. Children inherently are drawn to the natural world. 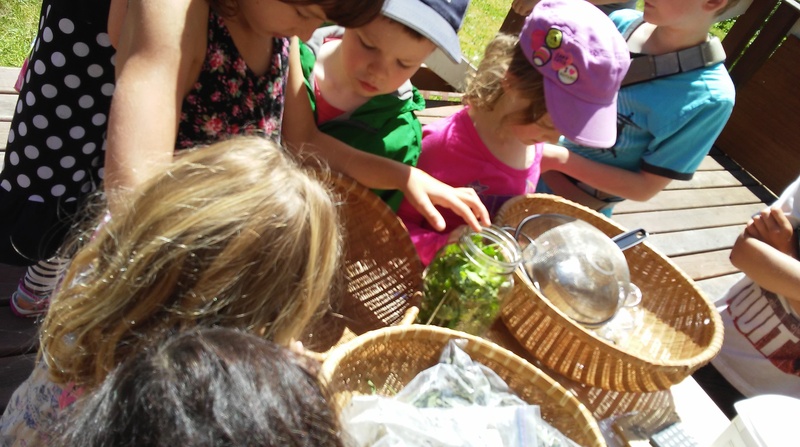 Plant play for children includes games, arts and crafts, fun facts about plants and some basic identification skills. There are many herbal remedies on the market for colds and flus. Learn about what plants are helpful and why, and how to match a remedy to the symptoms you are having for effective treatment. We will also meet some plants in person and do some hands on medicine preparation. Without our knowing it, there is usually a wealth of medicine in our own kitchens. Learn about the healing secrets of house hold culinary herbs and spices and the healing powers of some common foods. As parents, we want the best for our children. The natural remedy world can be confusing to get clear information about what is safe for babies and children. We will look at a number of safe and effective remedies for common child hood upsets. Pregnancy is a special time, nausea, heart burn and all. We will talk about remedies that are safe and effective for common pregnancy related symptoms, birth and post- partum healing.